The food in Paris is good enough to require no preamble, but the city is a labyrinth when it comes to actually finding the best spots. 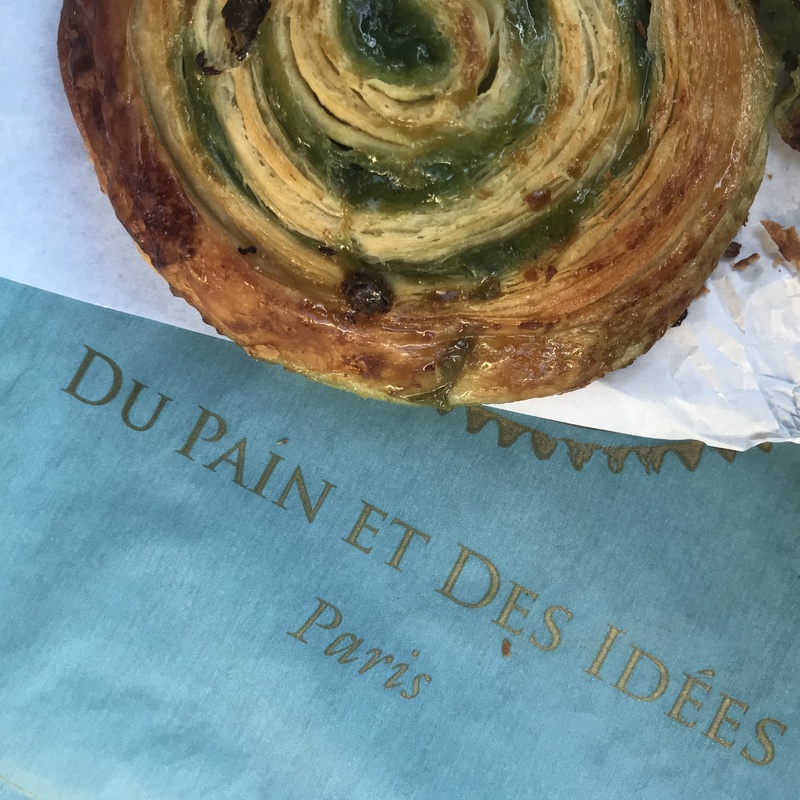 This is by no means an exhaustive list of what to eat there (so if you’ve been to Paris, please add your recommendations, too! ), but I think it’s a pretty solid start to your French food experience! Why get it: Because honestly, it’s probably the best pastry in the city. There was a constant, unrelenting stream of people rolling like tidal waves through the place, and most of them were walking away with an escargot pastry if some variety. But Rachel Khoo said she gets the pistachio, so that’s what we got, and that was absolutely the right choice! Perfect in every way. Why get it: Paris has a tight Nutella crepe game, but did you know their savoury ones are just as amazing? Usually made with buckwheat flour, they can be filled and/or topped with just about anything, but I’d recommend getting some cheese involved; the porous nature of the galette means that when it hits the hot pan, the melty cheese starts o seep through and caramelises on the grill. That’s why you should get it. Why get it: It’s not all croissants here – there are some ridiculously good cakes, too! 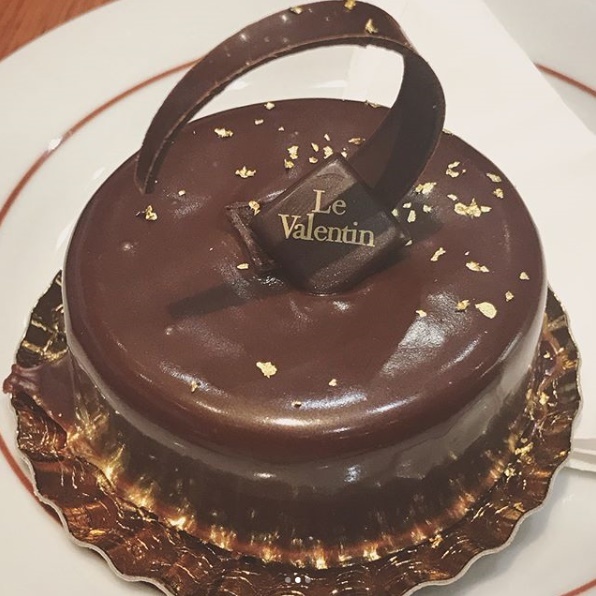 You’ll see lots of little individual cakes, because they’re incredibly rich, and more than a few bites could leave you with diabetes. But they’re the ultimate fancy, elegant treat to accompany your tea or coffee. Why get it: French food has a reputation for a reason, but there are a lot of tourist traps in Paris which don’t really live up to the expectations of visitors. If you can get a proper classic French meal, though, you’ll understand why people go so crazy for a real tarte tatin and a beef bourguignon – the flavours are incredible! Why get it: It’s one of those meals that should be so simple, yet it’s rarely done to perfection. 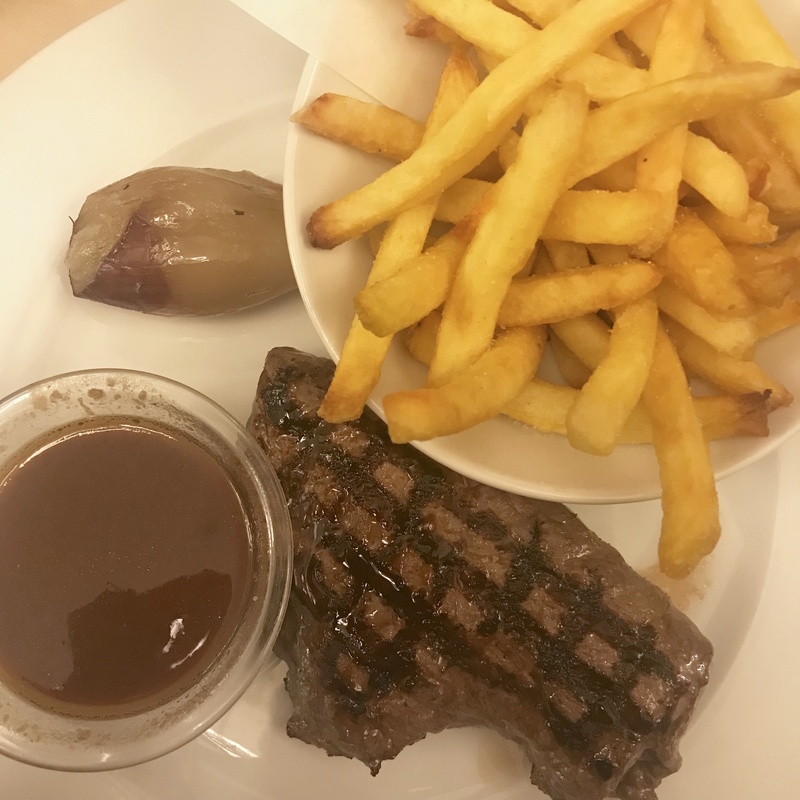 If you’re willing to spend a little money and eat a little further away from the Eiffel Tower, you’ll find some really fantastic steak. Don’t be scared to order it medium-rare; when you’re dealing with high quality beef, anything more than a few minutes each side will take a lot of the flavour away. Oh, and chips. Why get it: Because it wouldn’t be a trip to Paris without a truckload of these! Honestly, I didn’t eat a bad one over there, not this time and not the visit before in 2013. It’s always a good idea to take a sight seeing pit stop for a pot of tea or cup of coffee with a croissant in Paris! We got ours from: Maison Morange Côté Bio, 113 Rue Mouffetard – we got way more than this one, but it was the unanimous favourite for best plain croissant! It sure is! Did you have any favourites? I absolutely loved the cakes and sweets at Stoher patisserie. To die for! Noted for my next visit! Oh, and La Varenne in the 7th makes a great Warm Goat Cheese Salad!